The 3RR22 current monitoring relays have been expanded by an IO-Link interface for the transfer of digital measured values to the control. 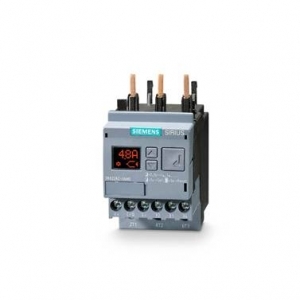 The monitoring relays' autonomous function remains available, independently of the control. Spooling (or winding) is the most effective way to provide convenient packaging for materials of exceptionally long length. 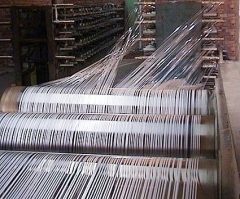 Typically, material is fed from a large spool at a certain rate while a SmartMotor traverses the material back and forth to create the desired pattern. For the "perfect spool", the winder traversing position should be electronically geared to the rotational velocity of the spool that the material's being wound onto. The SmartMotor uses a customizable electronic gearing dwell control to ensure the winding stays in the desired shape even as the diameter of the spool changes because of additional material wound onto the spool. Barcode reading trends and technologies give you the clues to solve our 10 identification mysteries. Take the Myth Buster Challenge to get your score and enter a drawing for an Apple� iPad�. 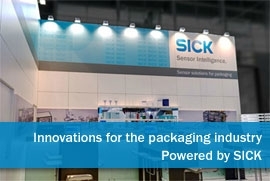 Your packaging lines require intelligent components that offer the necessary flexibility for product and format changes, while increasing the efficiency of the automation process. Solutions from SICK are ideal for this. Why Use a SINAMICS servo pump? Superior efficiency all along the line. This is the criterion when optimizing hydraulic injection molding and blow molding machines. In particular, this applies to all kinds of hydraulically driven axes on, for example, injection molding machines. In addition to the trend to design hydraulic machines completely or partially electrically, it is also advantageous to optimize the hydraulic units. 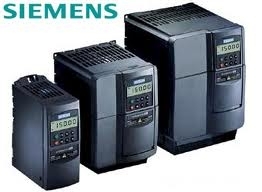 For this, Siemens provides a perfect approach with the new, highly dynamic SINAMICS servo pump. With an energy saving of up to 70%, your investment in the future will pay off within a very short time. Which Field Devices can be attached? Do you struggle with one of these applications? Reading more than one barcode at a time is challenging for many manufacturing and material handling engineers. In a new Expert Guide from Cognex: Multiple Code Reading Applications Made Easy, learn about how image-based technology solves these four applications with ease. Download the Expert Guide: Multiple Code Reading Applications Made Easy. 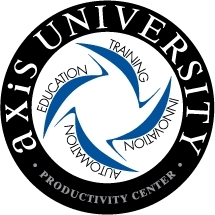 Announcing the upcoming events happening through Axis! We have presentations, trainings and webinars available on a wide variety of topics this season. Please click MORE INFORMATION above to visit our website for detail and registration. Interface of SINAMICS drives with SIMATIC controllers We can provide you with highly efficient systems in particular through the optimum interaction between SIMATIC control technology and SINAMICS drive technology. TIA Selection Tool with extended scope of use. The TIA Selection Tool helps you to choose the right products and components for your automation task, configure these and obtain a complete order list as a result. The order list is checked for errors and for compatibility of the configured products. The look and feel of the TIA Selection Tool user interface is based on the TIA Portal. Like the TIA Portal, it can be operated in either a guided portal view or in a comprehensive project view. In addition to the products which were already available, S7-1200 and practically the entire distributed I/O can now be configured with version 1.5.